Got a business? 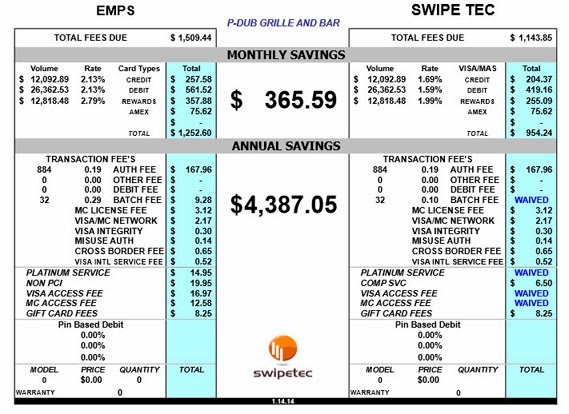 Take the Swipetec Challenge! We pride ourselves on being in the business of saving you money! We guarantee we can lower your current credit card processing rates, and if we can't... We'll give you a $500 Visa gift card!!! 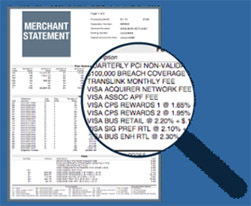 Simply send us a copy of your most recent Merchant Statement, and we'll provide you with a "to the penny" rate comparison and quote. We'll show you the monthly and annual savings, and provide this for you absolutely Free with No Obligation to switch to our services. So ACT NOW and take advantage of this tremendous opportunity to know where you stand, and to save your business money!